At the end of last week, the Austin City Council voted to pass a new ordinance requiring local businesses to give their employees paid sick leave. It was the end result of a long and intense fight, which pitted labor leaders and a diverse coalition from Austin’s liberal community against more than one hundred local business owners and a national group backed by the powerful Koch Brothers. Supporters packed the council chambers to speak before the vote, and many gave impassioned pleas to vote in favor of paid sick leave. According to the Texas Observer, some speakers “broke down in tearsas they recounted times when they or their loved ones had to choose between accessing health care and paying rent.” When the 9-2 vote came in, the crowd broke out in raucous cheers, applauding Austin for becoming the first municipality in Texas and in the Southern U.S. to enact such an ordinance. Workman said he felt it was an overreach for the council to enact such an ordinance (when reporters at the news conference questioned him about whether it was also an overreach for the state legislature to intervene in a decision made by elected local officials, Workman said no). Austin’s paid leave ordinance is just the latest local target of conservative state lawmakers, who have repeatedly tried to overturn municipal policies—ordinances that are usually liberal-leaning and typically implement regulations on businesses or industry. It’s a story that’s played out again and again, and not just in Austin. For now, it seems Austin’s paid leave is safe. Workman can’t do much until the start of the legislative session in 2019. But he claims he already has enough support from members of the House and Senate to pass legislation that overrides the ordinance. “We will have no problem whatsoever getting this through,” Workman said at the press conference. At least one member of the senate, Donna Campbell, a Republican from New Braunfels, has publicly said that she’s committed to overturning the rule. 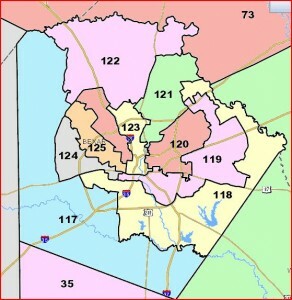 Less than half of Workman’s district is actually in Austin, not that it matters to Republicans like him. But hold that thought for a minute. 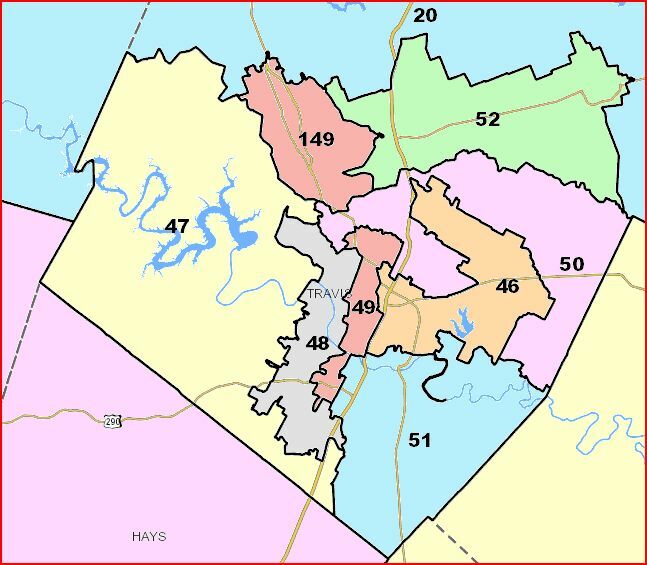 In 2011 — after Republican Paul Workman unseated state Rep. Valinda Bolton, D-Austin — lawmakers redrew House District 47 to include a larger swath of western Travis County. 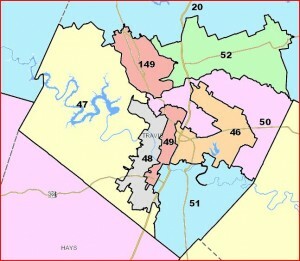 The new district, which gained more rural areas and lost some of liberal South Austin, stretched from Onion Creek to Lago Vista to Leander. It became a conservative stronghold, and to this day, Workman is the county’s only Republican state representative. Seven years later, it’s a potential swing district again. Texas political experts point to rising frustration with President Donald Trump and the Republican Party that could rally the Democratic base and cause conservative voters to stay home on Election Day. The effects of this trend would be more pronounced in districts Trump either lost or just barely won two years ago. And Trump carried HD-47 — where many residents are white and have a household income greater than $100,000 — with fewer than 200 votes. Hoping to flip the seat for the first time since 2011, five Democrats are running in the March 6 primary: Elaina Fowler, the executive director of a union of retired government employees; Vikki Goodwin, a real estate broker; Sheri Soltes, the founder of a nonprofit that trains service dogs; Candace Aylor, a recovery room nurse; and Will Simpson, a technology field executive. None of the Democratic candidates have run for office before. But all of them said they’re fed up with the social ramifications of the state’s “bathroom bill” discussion and the 2016 election. 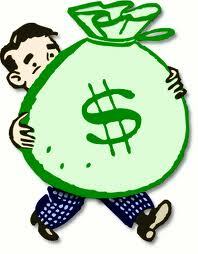 They also hope to improve public school financing, transportation and the district’s environmental preservation. The candidates’ policy stances are similar, but Fowler and Goodwin have emerged at the forefront of the race, Littlefield said. Fowler has the most legislative experience of the group, and Goodwin has raised the most money. I don’t know anything about these candidates beyond what is in this story, but that’s not the point. The point is that the way to stop legislators like Paul Workman from passing bills expressly designed to strip cities of their power is to vote them out of office. Races like this are at least as important as the races for Congress that have dominated the coverage so far this cycle. Pay attention to your State Rep races – and your State Senate races, if you have one – especially if your current Rep or Senator is a Republican. This is our best chance since 2008 to make the Legislature a better, more inclusive, and more responsive institution. We can’t afford to blow it. The Statesman asks the question whether the newly-drawn HD48 in Travis County might be easier for a Republican challenger to win, then never gets around to providing the simplest answer to that question. Starting in April and carrying on through the dog days of summer, Republican Robert Thomas has worn out the soles of his shoes block-walking in his campaign to represent House District 48 in West and South Austin. Thomas is counting on more than hard work and sweat, though. There’s a wild card in this election that could level the playing field. Even though incumbent Democrat Donna Howard has a bigger campaign, better name recognition and more legislative experience, redistricting has thrown her a curveball. She has represented District 48 for six years, but most of the residents she now represents have never voted for her. “Sixty percent of the constituency in this district is brand new. We aren’t taking anything for granted,” Howard said at a campaign house party in late September at the two-story Mount Bonnell home of a longtime supporter. About 50 supporters, including 427th Criminal District Court Judge Jim Coronado and Travis County Precinct 5 Constable Bruce Elfant, dropped by and enjoyed refreshments and hors d’oeuvres. Thomas had about $33,000 in political contributions compared with Howard’s $71,000 through June, according to Texas Ethics Commission reports. The latest reports are due Tuesday, but both campaigns say their fundraising and spending have ballooned since summer. Neither the size of Howard’s campaign nor her incumbent status seem to worry Thomas. He points to the district’s history and the latest district maps as reasons to be optimistic. For the past 20 years, District 48 has been predominantly Democratic. 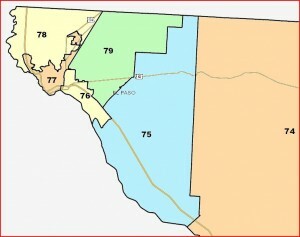 The district has swung into Republican hands once since 1992 when Todd Baxter won by about 7 percentage points 10 years ago. Howard won a special election when Baxter left prematurely before the 2006 general election. Howard barely won re-election in 2010. In that race, she edged out her Republican challenger by 12 votes out of 51,553 votes cast — or by two-hundredths of a percentage point. What the story never bothers to mention is simply this: The numbers in HD48 are more favorable now to a Democrat than they were before. 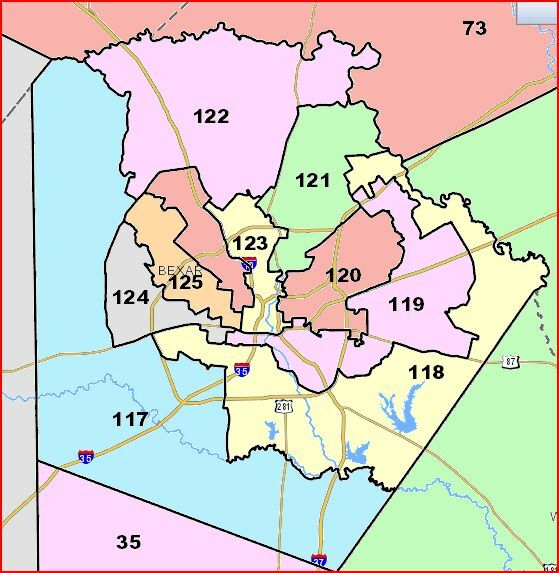 The 2008 numbers for the new HD48, under the interim map, are here (Excel spreadsheet), and the 2008 numbers for the pre-redistricting HD48 are here. The dropoff in each case comes from a higher level of undervoting on the Democratic side, and a larger share of the vote going to the Libertarian candidate in the Supreme Court race. There is absolutely nothing surprising or mysterious about this. 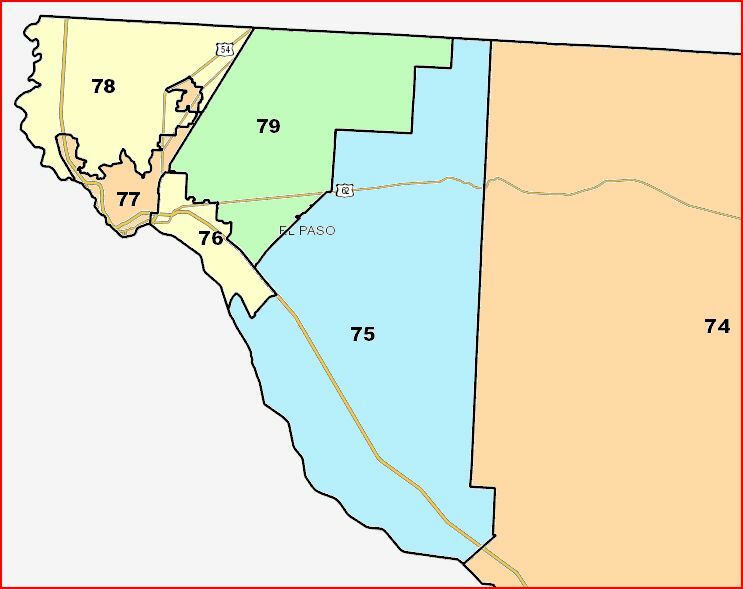 The Republicans quite reasonably wanted to shore up HD47, the district of freshman Rep. Paul Workman – remember, HD47 was won by Democrat Valinda Bolton in 2006 and 2008. All those extra Democratic voters had to go somewhere, and Howard and Rep. Mark Strama were the beneficiaries. So while it is accurate to say that many of the voters in HD48 are new to Rep. Howard, it is also the case that they are mostly Democrats. Which map would you rather have? I grant that Rep. Howard’s newness to the majority of her constituents is a factor, but this is a pretty significant one, too. It needed to be mentioned. Of course, there wouldn’t have been much of a story if it had been, so there you go. More from Rep. Howard herself on her Facebook page.